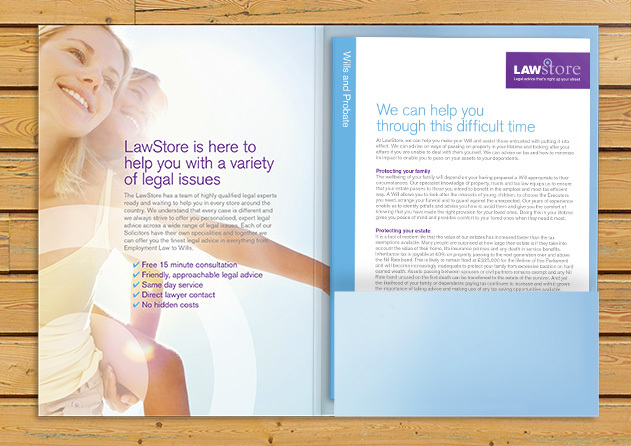 The Lawstore represents a change in the way that people can handle their legal affairs; giving everyday people more control and removing the intimidation that inevitably comes with solicitors' and lawyers' offices. 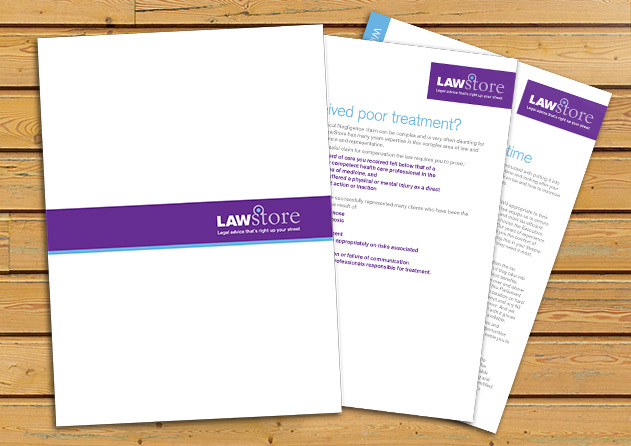 We needed to help the Lawstore promote their refreshing approach to the legal system to an often skeptical and legally unaware general public. We've endeavoured to create something friendly and easy to understand; making use of friendly colours and typefaces combined with aspirational and positive imagery that's mirrored by a clear and friendly tone of voice. 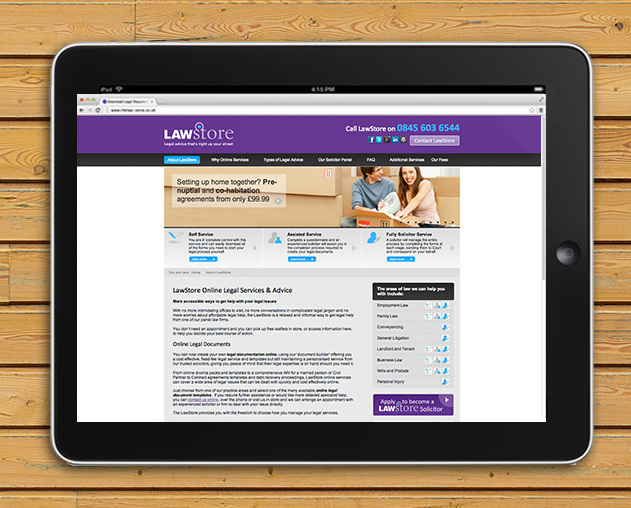 Click here to visit the new website. 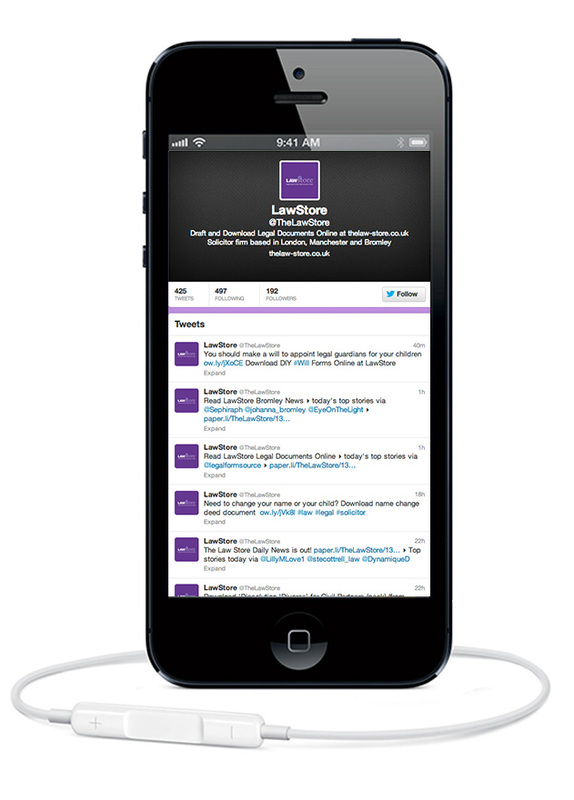 Click here to follow them on Twitter.